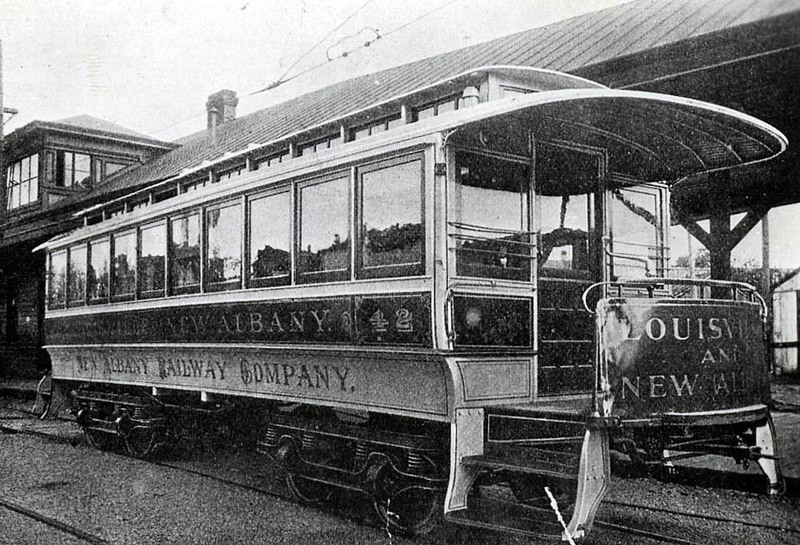 As New Albany and Louisville grew as industrial centers after the Civil War, transportation connections became vital for efficient movement of raw materials and finished goods. 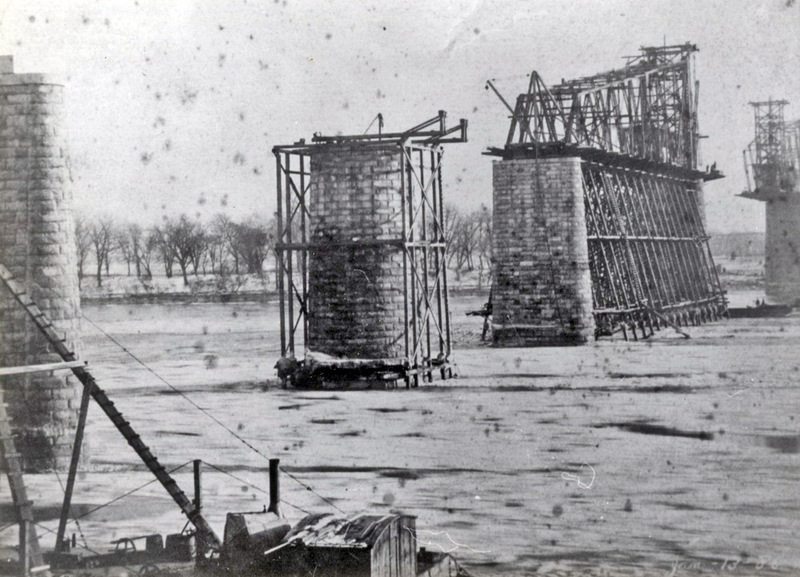 The first bridge across the Ohio at Louisville opened in 1870. Operated by the Louisville and Nashville and the Pennsylvania railroads, it improved access to Louisville but disadvantaged New Albany interests. 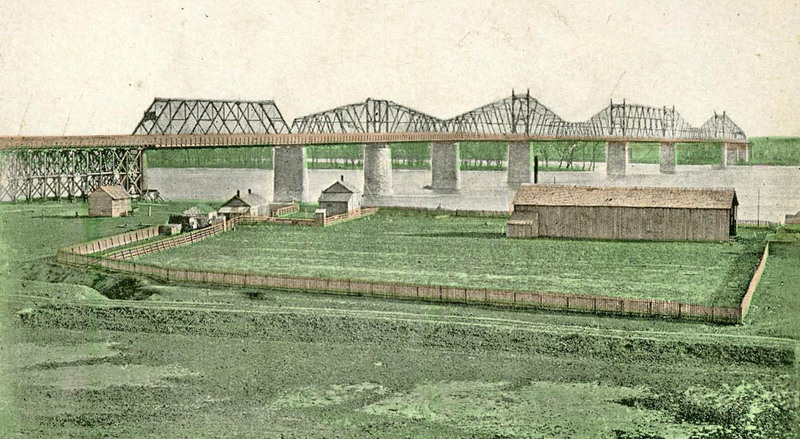 Merchants had to use a branch line to Jeffersonville to ship materials across the bridge and pay heavy fees for use. In the late 1870s, New Albany businessmen, led by J. F. Gebhart and William S. Culbertson, began lobbying for a new bridge. Construction began in 1881 under the authority of the Kentucky and Indiana Terminal Company. 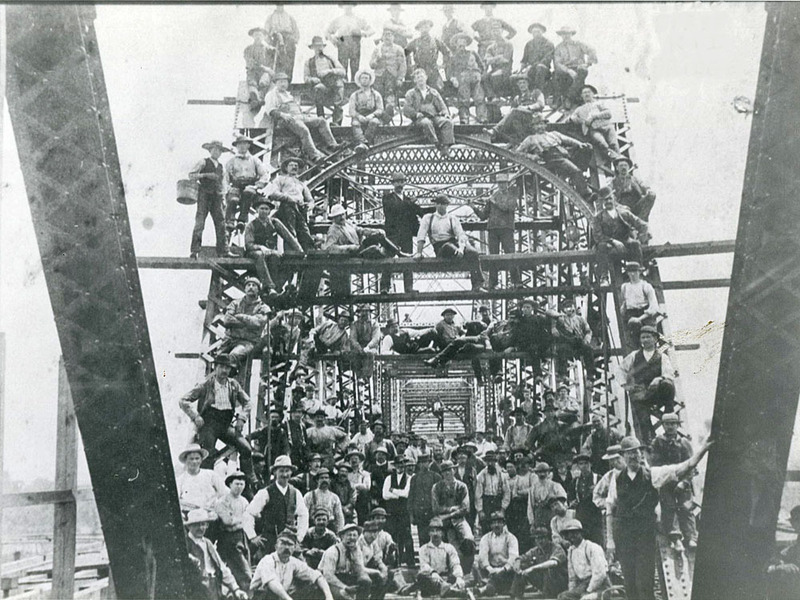 The new structure, “the Kentucky and Indiana Bridge,” or “K&I,” was one of the largest and heaviest of its kind. Built of through-truss cantilevered construction, it spanned the river on the west side of New Albany, roughly in line with Vincennes Street. The bridge opened on July 5, 1886, and quickly became heavily used. Total construction costs exceeded $2 million. The K&I Bridge not only benefited New Albany manufacturers but made commuting possible for thousands of workers. A commuter railroad, “The Daisy Line,” carried passengers from several locations in New Albany to destinations in Portland and Louisville. Three-car trains operated from 6:00 a.m. to midnight daily. By 1906, the line carried 1,250,000 passengers annually. 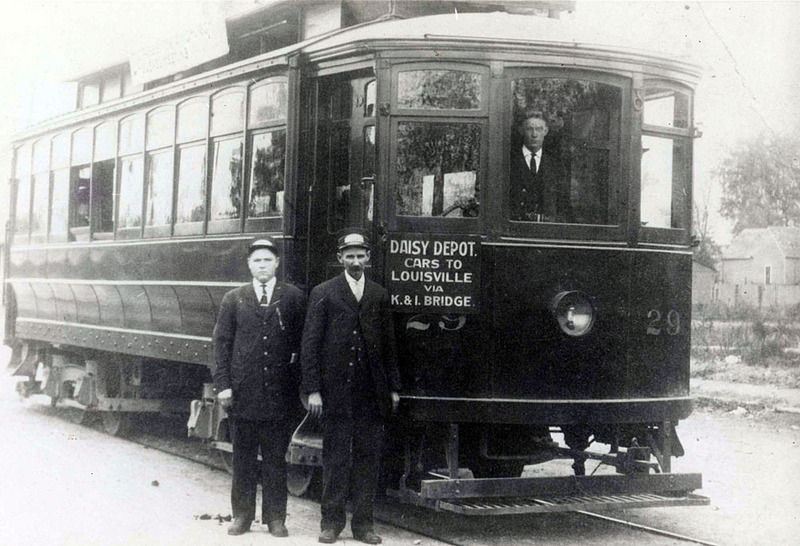 The Daisy Line switched from steam to electric power in 1893 and became part of the Louisville streetcar system about 1908. The K&I Bridge also facilitated wagon traffic across the river. Wagon lanes paralleled the railroad track running down the center of the bridge. Drivers paid tolls to cross. 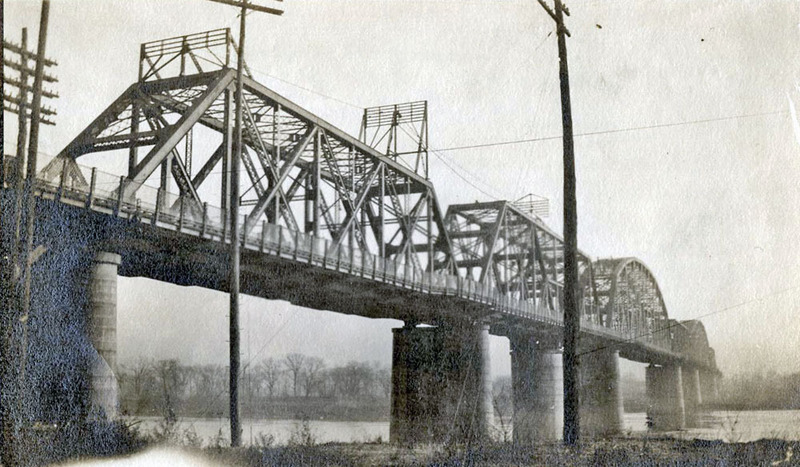 In 1910, increased train speeds and loads led the three railroads using the K&I – the Baltimore and Ohio, the Monon, and the Southern – to build a new bridge alongside the old one. The new structure was reputed to be the second-heaviest bridge in the world with a total weight of more than 18 tons. Construction proceeded swiftly, facilitated in part by access from the existing bridge. 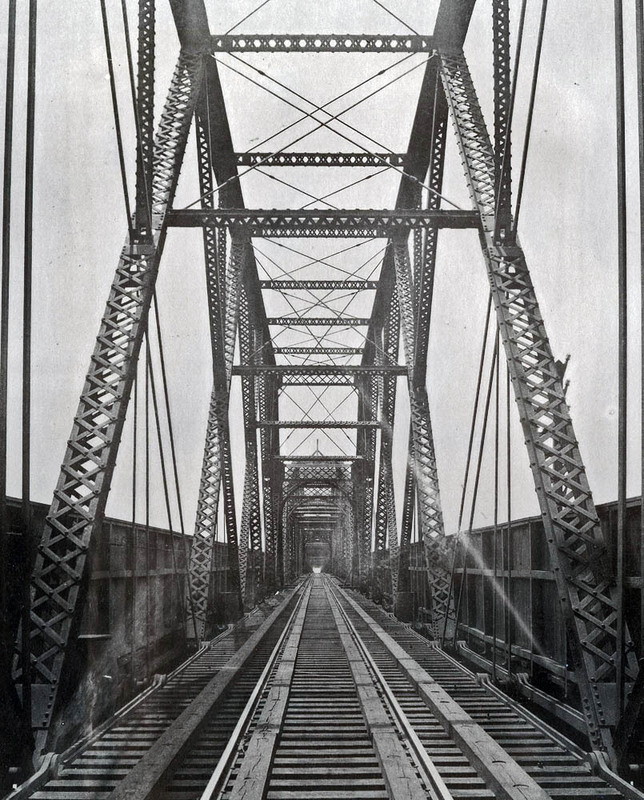 The new bridge had unlimited carrying capacity and opened on November 27, 1912. It featured double-track rails and improved side paths for automobile traffic. The bridge also had a rotating wing span designed to allow for passage of tall ships. 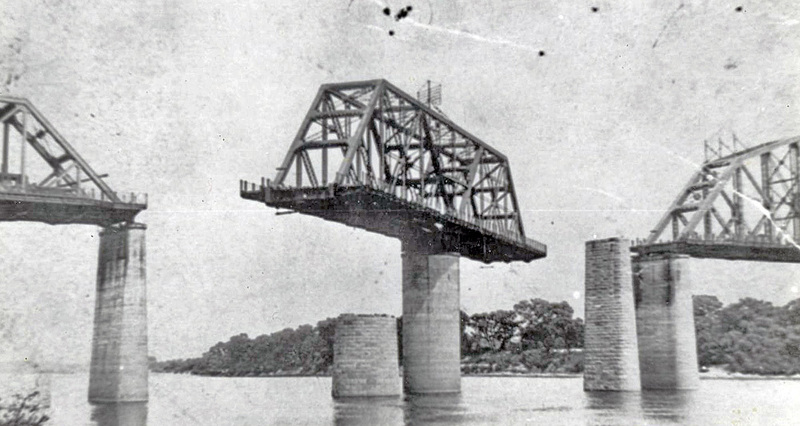 Officials opened the span only four times before disabling it in 1955. In 1929, the opening of the Second Street Bridge between downtown Louisville and Jefferson had little effect on K&I traffic. When the Sherman Minton Bridge opened in 1969, however, use dropped dramatically. The number of cars and trucks crossing the K&I fell from 75,000 to 17,000 in a year. Officials soon discontinued toll collection and switched to an honor system. In 1979, an accident involving an overloaded truck closed the automobile lanes. The K&I continues to carry Norfolk Southern Railway freight trains. In recent years, efforts to reopen the automobile lanes for pedestrian and bicycle traffic have kept the K&I Bridge in the news but have proven unsuccessful because of opposition from Norfolk Southern officials. 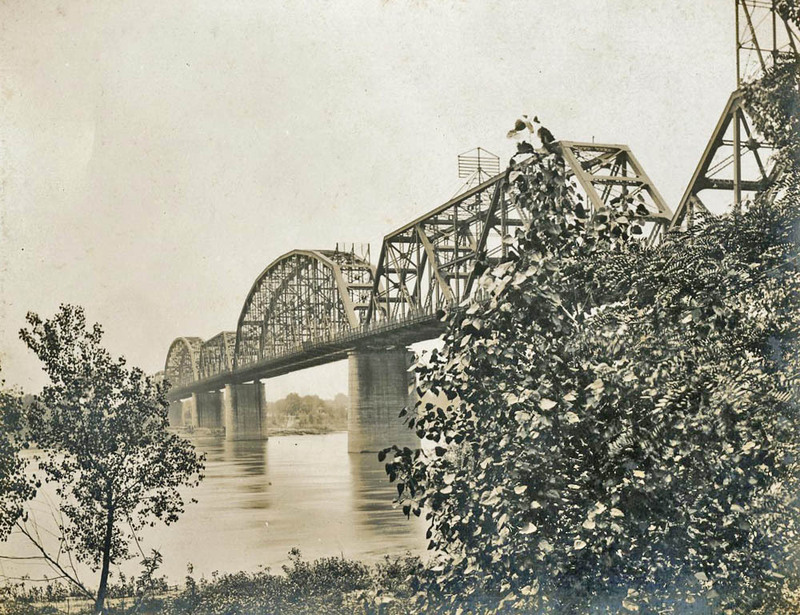 Ashley Slavey, Megan Simms, Wes Cunningham, Eric Brumfield, and Katy Morrison, “Kentucky and Indiana Terminal Bridge,” Discover Indiana, accessed April 25, 2019, https://publichistory.iupui.edu/items/show/131. Published on Feb 2, 2016. Last updated on Apr 2, 2019.